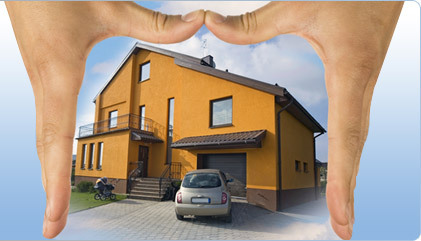 Wyoming Landlord Insurance Quotes - Get Wyoming Landlord Insurance Quotes in Minutes. Wyoming landlord insurance quotes are a quick way to compare policies and prices with very little effort, and can save investment property owners as much as hundreds of dollars per year or more..
Landlords in Wyoming towns like Casper, Cheyenne, Evanston, Gillette, Green River, Jackson, Laramie, Riverton, Rock Springs, Sheridan, and smaller towns need insurance coverage for their investments. Before purchasing a Wyoming landlord insurance policy, there are several considerations for the types of coverage you may or may not need to buy. The main reason most landlords in Wyoming need insurance is to protect their rental properties from damage and destruction, whether caused by humans, severe weather, or other forces beyond their control. Fire, smoke, wind, and water damage (except from flooding) are usually covered by investment property insurance policies. Even still, it's a good idea to check exactly what any insurance policy will and won't cover before buying it. Cold winters in Wyoming can cause burst pipes as well as ice dams around the eaves which damage not only the tiles on your roof, but can also cause all kinds of trouble for interior walls and ceilings. In the summer, the southeastern part of the state is subject to tornadoes. But the biggest problem for landlords in Wyoming, as far as property damage caused by nature is concerned, is hail. Hail storms cause thousands of dollars of damage to buildings in Wyoming every year. Make sure the Wyoming landlord insurance policy you choose would cover these types of damage should your properties be affected by them. You can use the form here on this site to get bargain Wyoming landlord insurance quotes. We use 200 different landlord insurance providers. This makes sure you receive quotes with the best rates for the coverage you need. Flash flooding can be a real risk to property in Wyoming, especially when a heavy rain coincides with lots of snow melt on the first warm days of spring. Unfortunately, many people think they are covered for flood damage by their landlord insurance policies, when in fact they are not. Flooding is not included in Wyoming landlord insurance quotes by default, and this can cause a very expensive gap in coverage for you if at some point your property floods. You don't want to find out too late that your landlord insurance policy doesn't cover flooding, so make sure to add it if you haven't already. Even if you end up spending a few dollars more for flood protection as part of your insurance premium today, it can save you from tens or even hundreds of thousands of dollars of expenses should your property be severely damaged or even destroyed by a flood. Some Wyoming landlords need insurance for more than property damage. One issue to consider is rental income loss. If your property gets damaged to an extent that your renters need to move elsewhere while repairs are being made, your insurance policy can pay you for the rental income you would otherwise lose. Loss of rental income isn't included in every Wyoming landlord insurance policy, so if you are interested in this kind of coverage, be sure to add it. Contents insurance is another add-on that appeals to many landlords. What contents insurance does is give coverage to a landlord's possessions within a rental unit. For example, some apartments come furnished for tenants, or at least have large appliances like refrigerators, and this type of insurance may cover those items should they be stolen, damaged, or destroyed. If you as a landlord provide these types of furnishings and appliances, you might want to add coverage for your contents in your landlord insurance policy. Coverage for liability and legal fees is another important consideration when comparing insurance rates. Where there are people, there are bound to be accidents, and if you as the owner are held liable for someone getting hurt on your property, liability coverage can prevent you from paying expensive out-of-pocket costs. And if the injury should lead to litigation, court and attorney fees can also drain your funds, so it's a good idea to have adequate coverage for both liability and legal fees. It can be tempting to buy insurance policies that cover the cash value of your investment property rather than the replacement value, because those policies are cheaper. Keep in mind that the appraised cash value of a property is almost always less than the amount it would take to actually rebuild your property from the ground up should it be destroyed. When you buy insurance that covers replacement costs, you are factoring in today's construction prices, which are much higher now than just a few years ago. The other consideration is the amount you choose as a deductible. A deductible is the amount you would need to pay for damages before your insurance will pay the rest. Many landlords try to save money by choosing a higher deductible. What happens sometimes, though, is that when they are trying to meet the deductible, they run out of money, delaying insurance payouts. If you choose a high deductible, make sure you have enough savings to cover it, otherwise choose a policy with a lower deductible even if your policy costs a bit more. Use the free form on this website to request Wyoming landlord insurance quotes. It only takes a few minutes, it's quick and easy, and you can potentially save hundreds of dollars right away.